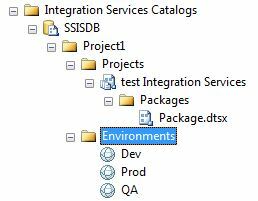 Is an special database called SSISDB where you store projects, packages related to the projects, environments (for example dev, test, QA and Prod) and variables related to each environment (for example a connection string). It also stores the execution history for further analysis. First of all, you need to install it since it is not added by default. 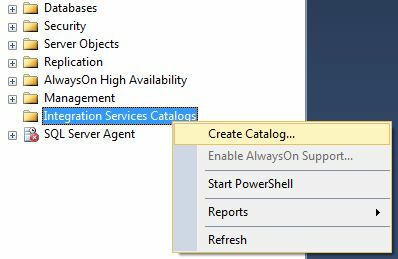 Open the SQL Server Management Studio, and then locate the Integration Services Catalogs folder, and then right click in the folder, and select the Create Catalog option. After that, a new window will appear, just enter the password you want, and the catalog will be created. 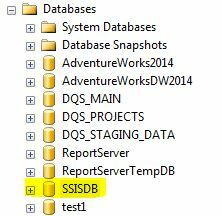 Also a SSISDB database is created, this can be used to perform custom queries or monitoring. Now we can deploy packages and create environments for each project. 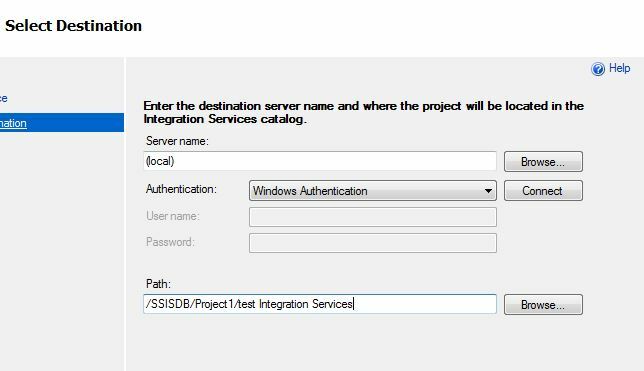 You can use SSDT IDE to deploy a package directly to the catalog if you have it configure as Project deployment model. 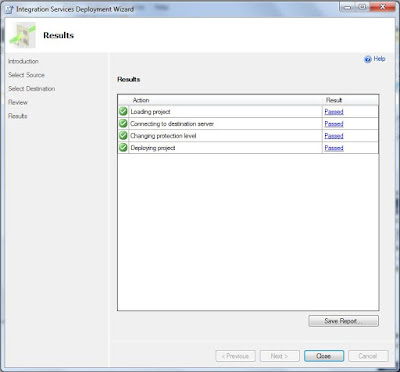 In the project, right click and select the Deploy option. 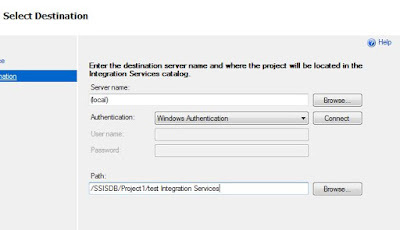 Select your SQL Server instance where the SSISDB catalog is installed. 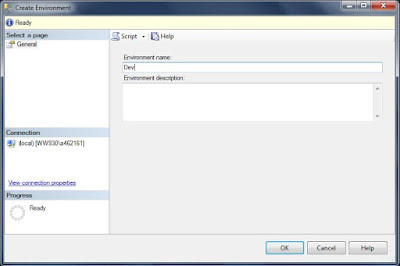 In the Path field, select the folder where you want to install the package. 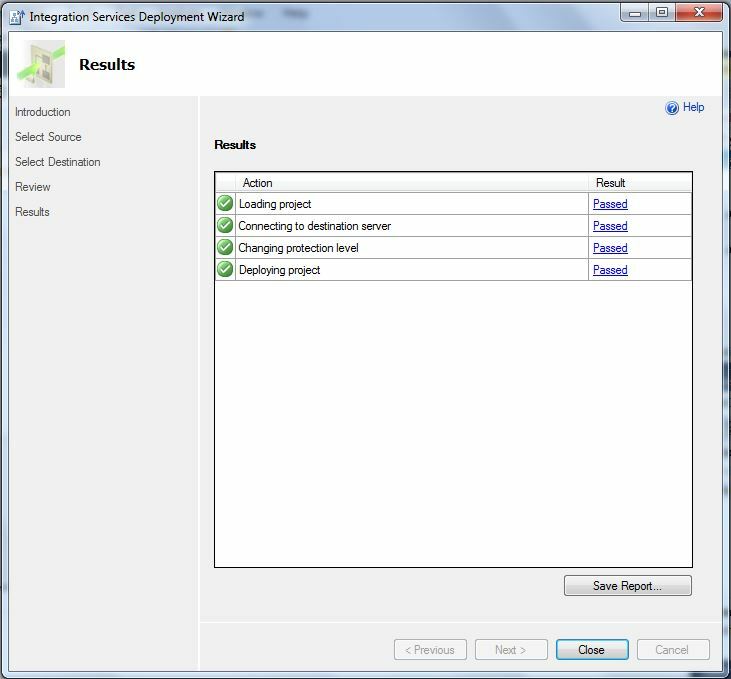 Finish the wizard and if everything is OK, the project will be deployed to the catalog successfully. We can expand the catalog again, and we can see that the test package is available now. 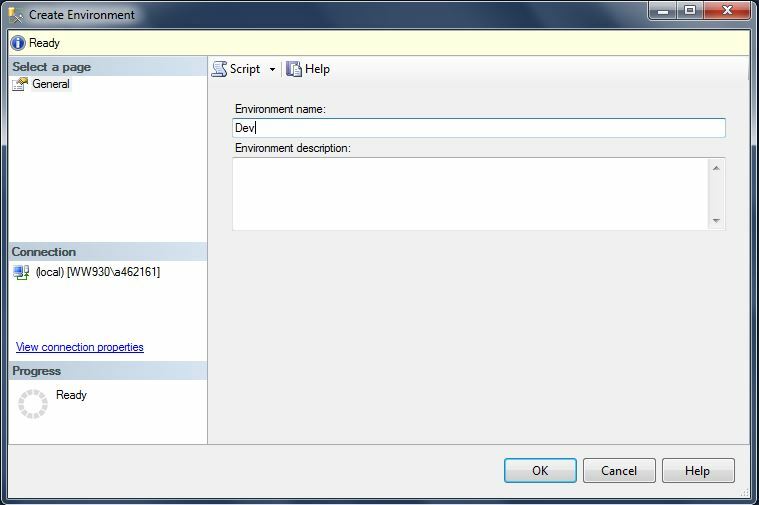 Another feature of the SSISDB catalog, is to create environments, were you can store different parameters and configurations for the package, so you can select to which one do you want to execute it. So now you have the basic knowledge to get rid of maintaining your packages in the filesystem, as you can have a centralized place to store and manage them with improved security. 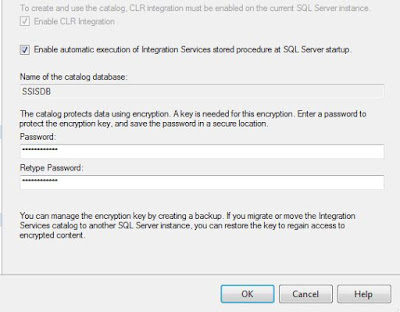 How to check advanced options in SQL Server?